I missed the deadline for the A to Z Reflections but I’ll reflect anyway. For me, the A to Z Challenge this year was better than ever. More challenging in some ways. More fun in others. I blogged about my passions: writing, coaching, and inspiring others. I didn’t plan—I never do. And I still wrote each post the night before—sometimes as late as 10:00 pm. I’m a slow thinker, fairly uncertain until I actually start writing, so each April I purposely work under pressure, trying to teach myself to think and write fast, the way old time reporters did back in the day. One of my favorite movies is Teacher’s Pet with Clark Gable and Doris Day. Check it out. And remember Lou Grant? I did one thing different this year. I shared on FB and Twitter. Mine and other people’s posts. Amazing how that adds another level of excitement to the challenge. And adds FB friends and followers. In addition to daily blogging the challenge I was also writing a 20,000 word novella that will come out in a collection with three other writers, and coaching a writer who was trying to finish her novel. I’d love for you to read her story: Why It Took Seven Years To Write This Novel. I’m thrilled to say she accomplished her goal. 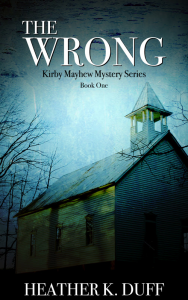 Not only did she finish her book, but she submitted to Amazon’s Kindle Scout program and was accepted. For the past three days she’s danced around in Hot and Trendy and for an hour or two was #1. That alone tells you I had an exceptional client to coach: very capable, talented, and focused. Her writing is excellent. My adrenalin surged during the month of April. Those three activities—writing, coaching and blogging—kept me organized and focused. I think that’s what we need to remember; we have to remember. The key to success is focus. Everyone who completes the A to Z Challenge each year knows and understands all about focus. We have to keep our eyes on our goal. Now that A to Z has ended, I’ll concentrate on spreading the word about my client’s book. I can’t help but feel her success is mine too. 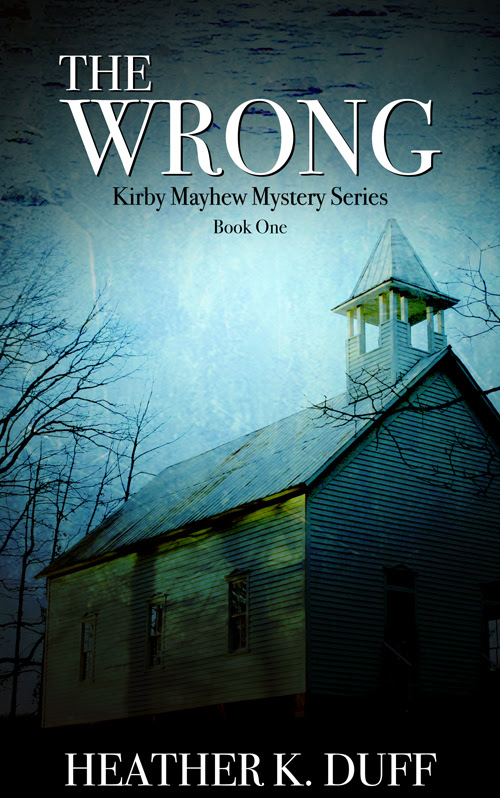 🙂 I invite you to read the first few chapters of The Wrong by Heather K. Duff . If you enjoy it, consider nominating her for the Kindle Scout contract. You’ll get her novel free if she wins. If she doesn’t, it will have been a wonderful learning experience just to watch how things play out, one you might want to try yourself. Heather hopes to post about her experience too, so consider signing up to follow her blog. In the meantime, what do you have planned for the summer? Where will your focus be? On a novel, novella or a book of poetry? Or maybe you’re taking the summer off to play with your kids? Whatever your plans, be safe and have fun. Enjoy your focus. I, too, tend to think through writing so I often times don’t know exactly what I’ll say until I start saying it. Thanks for all of your support, encouragement, wisdom, brilliance, time, inspiration, generosity, and friendship. And thank you for not giving up on Kirby when I kept walking away. You got him out of that hole too!